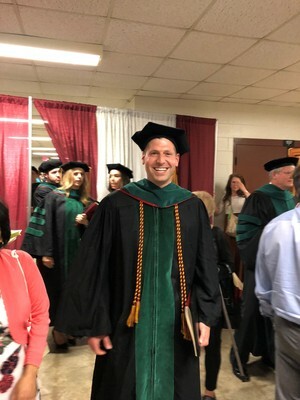 Dr. Andrew A. Glickman, D.O, M.S. The biology program under the mentorship of Dr. Deanne Roopnarine provided me with the knowledge and tools necessary to succeed in both my Master's program and during the first two years of my medical school curriculum. The rigorous biology program at NSU granted me exposure to complex medical sciences at the graduate degree level while pursuing my undergraduate education. Anatomy, histology, and advanced physiology all taught under the direction of Dr. Roopnarine contributed to excelling in both my master's and medical school programs. Some words of wisdom I can offer current students is to always keep your eyes on the prize. The long journey to achieve your dream will have up's and downs, but if you stay focused and envision success for yourself it will come. Utilize the open door policy the professors at NSU provide to you, as they are invaluable. Whenever you doubt yourself, realize how fortunate you are to be in a position where you can study what you want, and be in college and always remember things will work out the way they are supposed to.